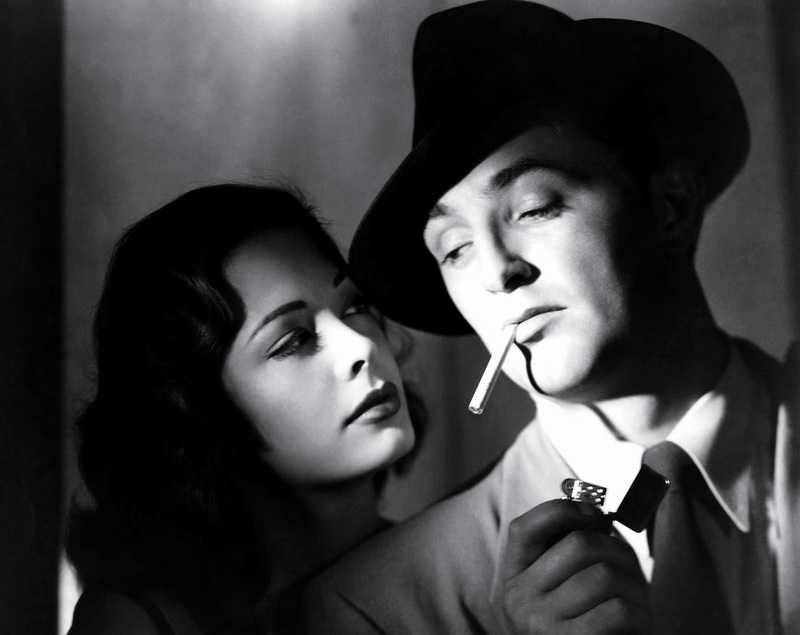 TCM is airing a tribute to the great cinematographer Nicholas Musuraca on Tuesday that includes the seminal film noir Out of the Past (stars Jane Greer and Robert Mitchum are in the photo above). There's also a Tuesday night of musicals featuring African-American performers and star-of-the-month Dean Martin's movies with the Rat Pack on Wednesday. Note: All times are ET and the highlighted text has links to full-length articles. Here's a link to the complete schedule for the week of Sept. 16-23. FYI: My blog was chosen as one of the top 30 classic movie blogs by Feedspot, and they requested that I notify my readers in a blog post. I was really surprised to be included, and it is an honor to be in the company of such a great group of bloggers. You can check out the entire list here. 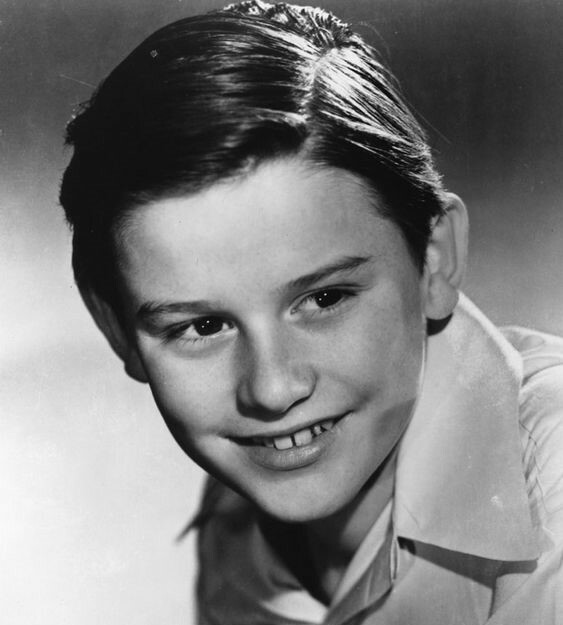 Roddy McDowall was born Sept. 17, 1928, in London. He was one of the top child stars of the 1940s and he went on to become a great character actor as an adult. He was also a talented photographer and passionate champion of classic films. TCM is airing a daytime lineup of his films on Monday that includes the World War II weepie The White Cliffs of Dover (1944) at 1:30 pm. 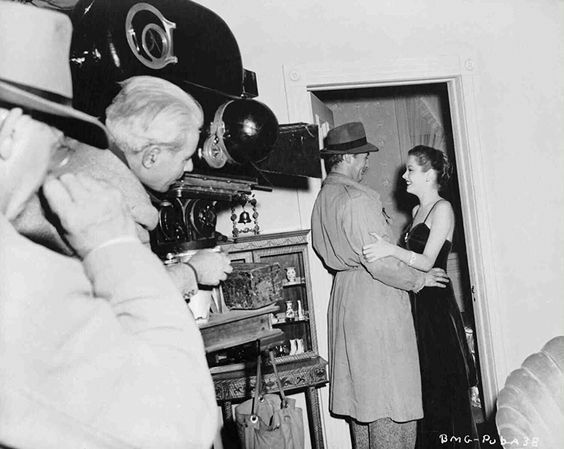 Cinematographer Nicholas Musuraca films Robert Mitchum and Jane Greer in Out of the Past (1947). TCM is airing a day of films from Nicholas Musuraca, who was one of old Hollywood's great cinematographers. Musuraca, who worked mostly for RKO Pictures, started out making B movies like the George Sanders programmer The Gay Falcon (1942) at 7:30 am Tuesday, but his mastery of black-and-white photography led him to define film noir's shadowy style in Stranger on the Third Floor (1940) at 6:15 am. Musuraca worked closely with horror producer Val Lewton, lensing chillers Cat People (1942) at 8:45 am and The Seventh Victim (1943) at 10 am. He also worked frequently with director Jacques Tourneur on projects like the seminal film noir Out of the Past (1947) at 11:15 am. Musuraca's later work includes Western Blood on the Moon (1948) at 1 pm, nostalgic drama I Remember Mama (1948) at 2:30 pm, melodrama Born to Be Bad (1950) at 4:45 pm and noir Split Second (1953) at 6:30 pm. Dorothy Dandridge and Harry Belafonte in Carmen Jones (1954). 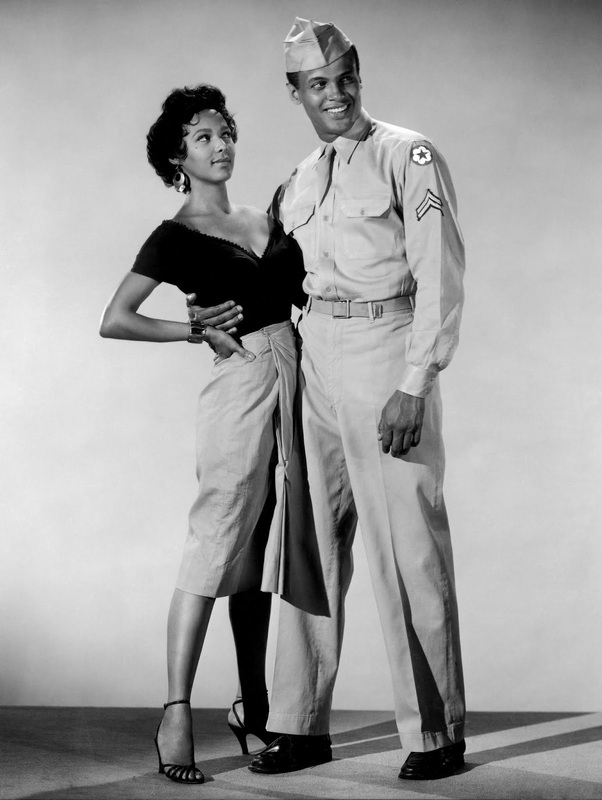 Carmen Jones (1954) at 8 pm Tuesday: This updated version of the 1875 opera Carmen stars Dorothy Dandridge as a sultry factory worker who seduces straight-arrow army officer Harry Belafonte. A triumph for Dandridge who gives a performance of such fire, passion, and tragedy that it briefly made her own of old Hollywood's musical superstars. Part of a night of all-black musicals. More great performances: Don't miss the great Ethel Waters performing "Happiness Is a Thing Called Joe" in Cabin in the Sky (1943) at 10 pm, jazz legends Billie Holiday and Louis Armstrong dueting to "Do You Know What It Means to Miss New Orleans" in New Orleans (1947) at midnight, and Nina Mae McKinney bringing down the house to "Swanee Shuffle" in Hallelujah (1929) at 2 am. TCM's daytime theme of drifting along includes two films relating to the beloved 19th century author Mark Twain. 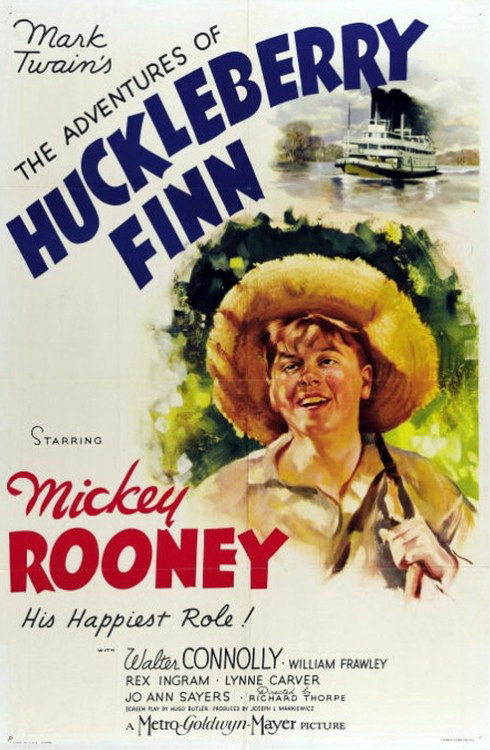 Twain's best-known work, The Adventures of Huckleberry Finn, gets a mostly comedic adaptation in a 1939 Mickey Rooney vehicle airing at 6 am. The Adventures of Mark Twain (1944) at 8 am is a fanciful biopic that features Fredric March in the title role. More rivers: Travel down the Mississippi with Irene Dunne, Helen Morgan, Paul Robeson and company for the 1936 screen version of Show Boat at 10:30 am, while 19th century fur-trapper Kirk Douglas travels up the Missouri in The Big Sky (1952) at 3:30 pm. Finally, English girl Patricia Walters finds it difficult resist the lure of the Ganges in director Jean Renoir's The River (1951) at 6 pm. 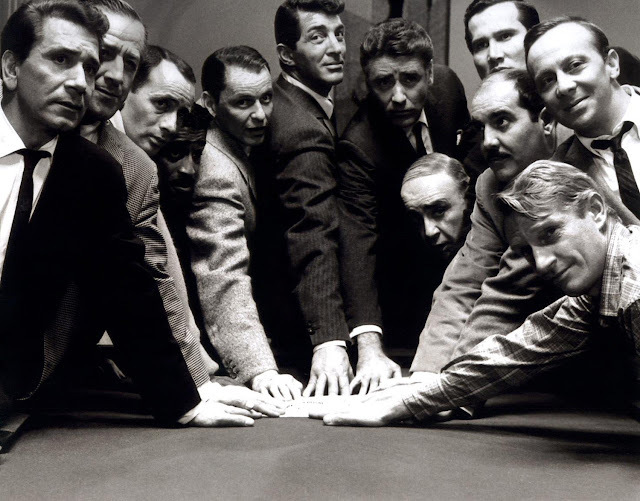 The cast of Ocean's Eleven (1960): From left, Ricard Conte; Buddy Lester; Joey Bishop; Sammy Davis, Jr.; Frank Sinatra; Dean Martin; Peter Lawford; Akim Tamiroff; Henry Silva; Richard Benedict; Norman Fell, and Clem Harvey. Wednesday's lineup features Dino's films with his Rat-Pack pals. Ocean's Eleven (1960) at 8 pm: The Rat Pack, along with a few character actors, attempt to rob five Las Vegas casinos in one night in this classic heist film. Provides a great look at sixties Sin City. Robin and the 7 Hoods (1964) at 10:15 pm: Dino plays Little John to Frank Sinatra's Robbo in this fun update of the Robin Hood legend. My personal favorite among the Rat Pack films, don't miss Martin shooting a mean game of pool while warbling "Any Man Who Loves His Mother" and Sinatra, Martin, and Bing Crosby's iconic "Style" number. 4 for Texas (1963) at 12:30 am: A silly Western comedy that features Dino and Frank as rival bar owners. Marriage on the Rocks (1965) at 2:45 am: This comedy of remarriage finds a long-suffering Deborah Kerr married to both Sinatra and Martin throughout the course of the film. Wikipedia claims that this film has glimpses of Martin's real-life Hollywood pad. Kiss Me, Stupid (1964) at 4:45 am: Martin played a larger-than-life version of himself in this Billy Wilder comedy about a successful crooner who meets up with two aspiring songwriters (Cliff Osmond and Ray Walston). Wilder later expressed mixed feelings about the film, but he always admired Martin's talents, calling him "the funniest man in Hollywood." Maureen O'Hara and Tyrone Power in The Black Swan (1942). Settle down on the couch for two of old Hollywood's finest seafaring adventures. First, a dashing Tyrone Power and a Technicolor queen Maureen O'Hara buckle a fine swash in The Black Swan (1942) at noon Saturday, followed by Gregory Peck as a stalwart British Naval officer battling Napoleon in Captain Horatio Hornblower (1951) at 1:30 pm. 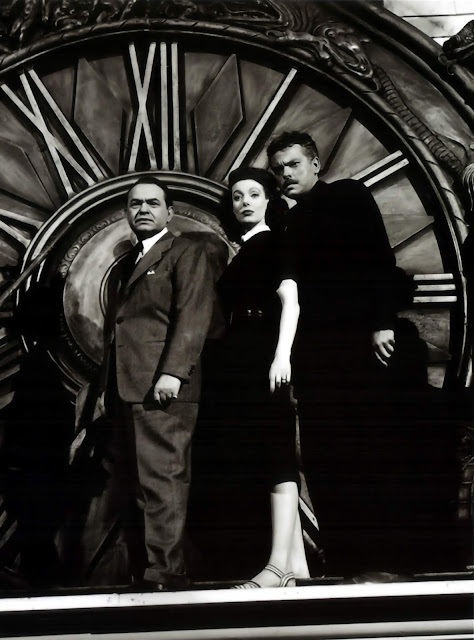 Edward G. Robinson, Loretta Young, and Orson Welles in a publicity still for The Stranger (1946). The Stranger (1946) at midnight Saturday night/Sunday morning and 10 am Sunday: These days, cable TV shows are still "hunting Hitler," but old Hollywood was onto escaped Nazis in the 1940s in films like this Orson Welles-directed noir about a woman (Loretta Young) who is about to marry a war criminal (Welles). A great Edward G. Robinson plays a federal agent who is on his trail. 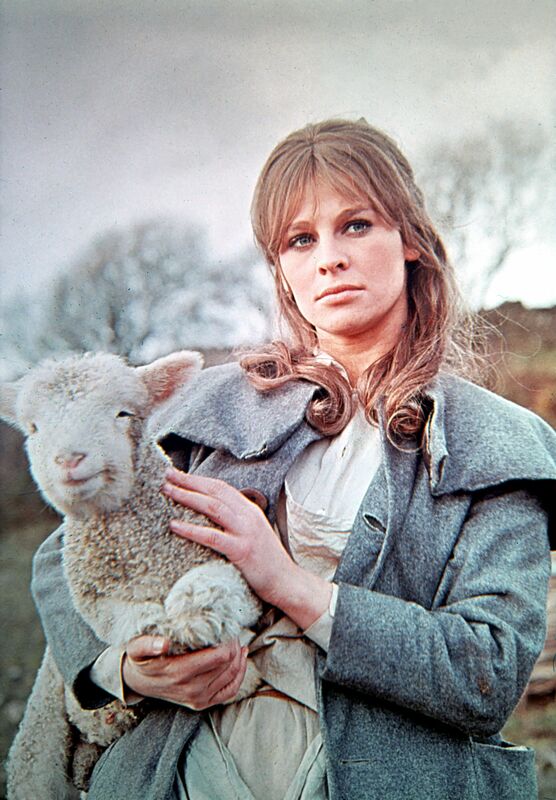 Julie Christie as Bathsheba Everdene in Far From the Madding Crowd (1967). If Sunday sports aren't your thing, then settle in for an afternoon of sumptuous costume dramas on TCM. First up is Montgomery Clift and Elizabeth Taylor in the lavish Civil War romance Raintree County (1957) at 2 pm followed by director John Schlesinger's wonderful version of Thomas Hardy's novel Far From the Madding Crowd (1967) at 5 pm, starring Julie Christie, Peter Finch, Terence Stamp, and Alan Bates. Anna Neagle and Michael Wilding were a top screen team in Postwar Britian, making seven popular romantic comedies together. TCM is airing two on Sunday night, starting with the rom-com Spring in Park Lane (1948) at 8 pm, which finds Wilding as an impoverished nobleman in disguise who romances his employer's niece (Neagle). 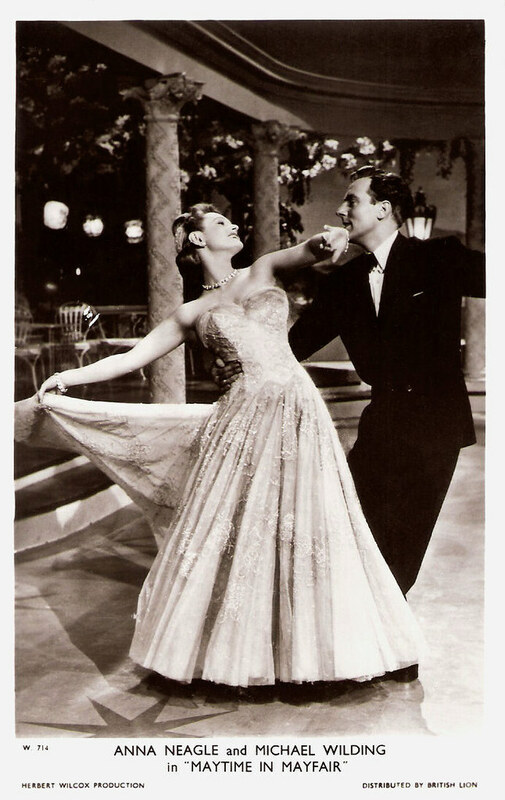 Maytime at Mayfair (1949) is a loose remake of Roberta filmed in glorious Technicolor. The Love Light (1921) at midnight Saturday night/Sunday morning: America's sweetheart Mary Pickford plays a lovely lighthouse keeper who unwittingly gets involved with a German spy (Fred Thomson) during World War I. Written and directed by old Hollywood pioneer Frances Marion. Gee, I wish I was home on Tuesday! The last time I watched Oceans Eleven I got the most kick out of Akim Tamiroff. It's a funny movie that way. I never can resist The Stranger. Such a lovely autumn atmosphere and engrossing plot. I wonder if now is the time to give Kiss Me Stupid another shot. Maybe. Maybe not. Unfortunately, on the Anna Neagle night TCM Canada is showing Irene at 8 followed by The Yellow Canary, two movies that do not impress me all that much. The Love Light with Mary Pickford has to be seen. It epitomizes Birdy's line from All About Eve: "What a story! Everything but the bloodhounds yappin' at her rear end." I forgot about The Stranger's fall atmosphere, I'm going to have to give it a re-watch on the first day of autumn. I've never seen The Love Light either; the Wikipedia entry was so wild that I couldn't completely follow it. I'm kind of curious to see what actually does happen. Yes, The Stranger and Love Light sound like they shouldn't be missed! Thanks for your weekly picks!